All right you Xbox warriors, gearheads, and grease monkeys. Yes, even the poor deluded souls who think the PlayStation counts as a driving simulator. I know what you’re thinking: 7:21 and change is an okay time, but it’s not a great time. I agree with you. Sure, what the Jaguar XE SV Project 8 did was quick, but it’s not even in the same time zone as what the latest Porsche GT and that monster from Glickenhaus did. All of that is true. 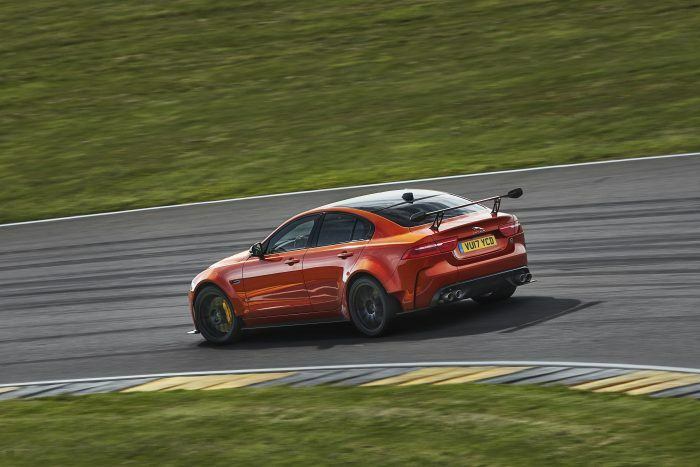 What is also true is that the Jaguar XE SV Project 8 is most definitely not a featherweight car. It’s kind of fat. But it’s also kind of fast. Oh, and it’s also a sedan. Jaguar is being cute with all of this stuff and it gives me a chuckle. For starters, there’s a whole series of foot notes in the presser, and they are laughably entertaining if you think about the conference room discussions that lead to them. Some of the greatest hits include: “Professional driver on a closed course. Do not attempt.” And “always follow local speed limits.” Of course the funny thing here is the Nürburgring Nordschleife is a public road and you can drive on it just as fast as you care. Anyway, at 7 minutes, 21.23 seconds, the Jaguar XE SV Project 8 is now the world’s fastest sedan of production-intent specification. What, exactly, is “production-intent specification?” Dunno. Jag didn’t really say. One could say that it’s kind of weaselly and sounds like someone is hedging their bets (if you’re a glass half empty kind of a person). Or one could say it means the XE SV Project 8 prototype used for this Nürburgring run is remarkably close to the production version, and only detail changes might be happening (if you’re a glass half full kind of a person). Jag’s new record is 11 seconds quicker than the previous sedan time, although they do not mention who it was that set the previous record. As I recall it was a BMW M3; that one with the big, whompin’ V8. The new time was set thanks to the Jaguar XE SV Project 8’s fire-breathing 592 horsepower, 5.0-liter supercharged V8 engine. It shoots the big sedan to 60 mph in 3.3 seconds and to a top speed of 200 mph. And of course the suspension and tires helped. No mention made of the skins mounted, but if I were doing something like this, I’d get some real race rubber (let’s say Michelins) to tilt this thing as much in my favor as I could. Jag says the XE SV Project 8 is the most extreme road-legal Jaguar ever, which says a lot if you’ve ever been up close with an XJ220, cause those things are nasty, nasty machines. The bad news is that the Jaguar XE SV Project 8 won’t be available until next year, and it starts around $187,500 in the United States. And, to make matters even worse, production is limited to 300 vehicles worldwide. If you’re interested, you can watch the XE SV Project 8 prototype’s record lap on the Nürburgring Nordschleife below. I’ve got to say, it is rather impressive. Photos, Video & Source: Jaguar Land Rover. 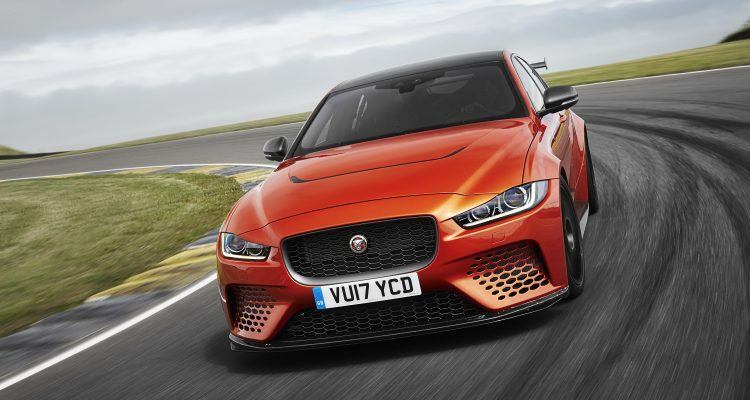 No Comments on "Jaguar XE SV Project 8 Tackles The Nürburgring Nordschleife"